Jaguar Jungle, was inspired by a painting I had done in 1986. The black background is reminiscent of the dense canopy of the trees in the jungle. and incorporates the wonderful species of South America. As the mother jaguar hunts at night, she places her cubs in the trees to play safely. This small octagonal bowl is a striking piece of the Jaguar Jungle collection from Lynn Chase. The dimensions of this piece are approximately 2.75" x 5" x 5". 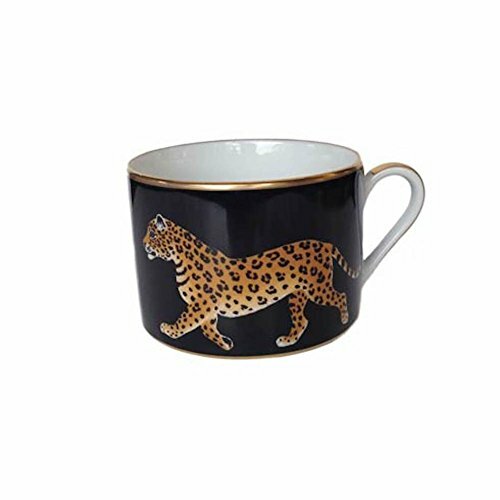 Jaguar Jungle one of Lynn's earliest and, perhaps, most iconic design remains in the collection and was honored with the International Tabletop Committee's Best Design and Impact Award in 1991. Lynn Chase has been creating wildlife art for over 20 years. In 1988 she launched Lynn Chase Designs to bring her wildlife scenes to home decor. 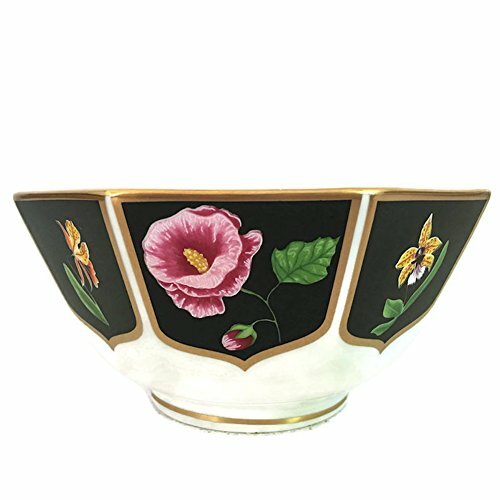 Over the years she has created dinnerware collections and a wide assortment of giftware and accessories. Lynn Chase remains the sole designer and guiding force behind her company. Ms. Chase is also the founder of the Lynn Chase Wildlife Foundation (LCWF). A portion of the pre-tax profits from the Lynn Chase Atelier Collection will be generously donated to LCWF. 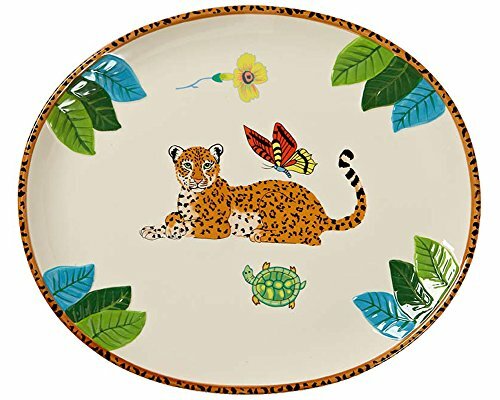 Size: Approximately 7" x 7" x 7"7\" x 7\" x 7\"
Lynn Chase JAGUAR JUNGLE salad plate in USED condition 8 1/4"